Apparently I’ve been on a winning streak with TJ’s products recently, because almost everything I’ve reviewed has gotten either an 8 or a 9. 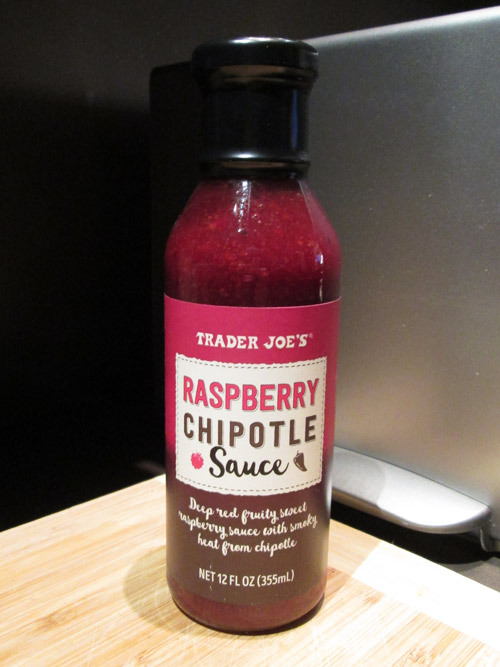 This Raspberry Chipotle Sauce is no exception. It starts off with a sweet, fruity flavor, followed by a spicy and smoky kick from the chipotle. When I first saw this in the Frequent Flyer, I wasn’t sure how it was meant to be used, but when I saw that it could be used as a barbecue sauce, I knew I had to get it. I tried it on TJ’s Cocktail Pups, and will also probably try it on meatballs eventually. It would also probably go great as a salad dressing. 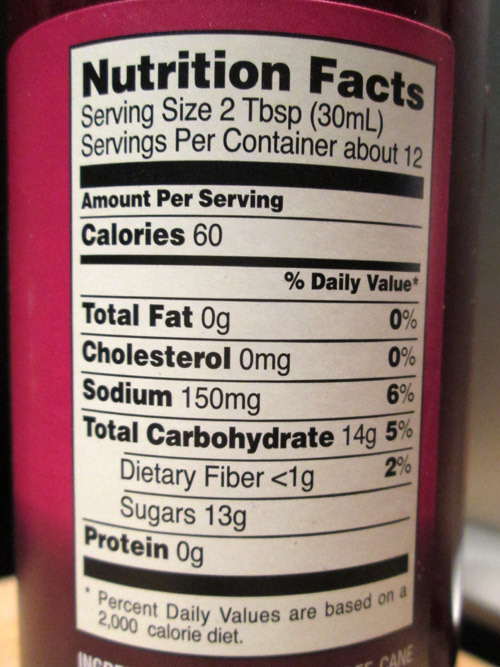 It does have a very strong flavor though, so depending on how you’re using it, it might drown out most other flavors, which is the only possible downside I could see to this. However, I did find that if you mix it with a bit of Trader Joe’s Roasted Garlic Onion Jam, it does bring the heat level down a bit, which is helpful if you’re not a big fan of big spice.